Do you need a fast way to find your organization’s maps? 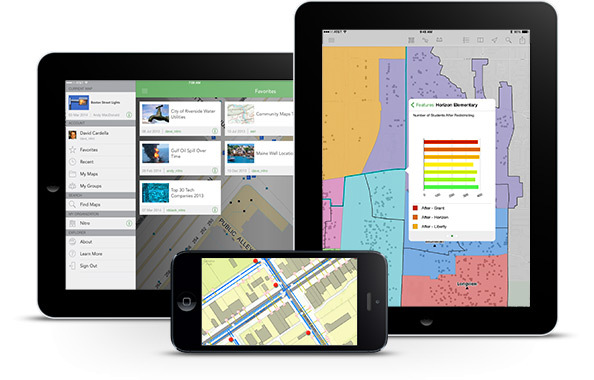 With Esri’s new Explorer for ArcGIS app and ArcGIS Online or Portal for ArcGIS, you can visualize and interact with your geospatial information on your iPhone or iPad, anytime and anywhere. Explorer for ArcGIS includes sketching tools that let you draw lines on your maps to highlight important aspects of your data. You can quickly identify and verify edits and communicate and collaborate with others easily. If you manage your city’s public safety assets, for example, you can sketch and highlight which city water hydrants need repair and set priorities for the maintenance work. Download the Explorer app from the Apple App Store. Anyone with an iOS device can download and try the sample maps included in the app. 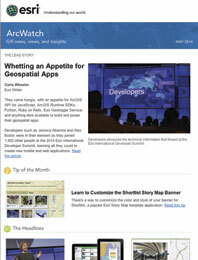 ArcGIS Online subscribers, trial users, and those with a Portal for ArcGISaccount can simply download the app, sign in, and begin exploring their organization’s maps. Support for Android and other platforms will be available in a later release.